Facebook-owned WhatsApp has made a deluge of changes to its cross-platform messaging service of late. Most recently came end-to-end encryption and support for the sharing of documents. With over one billion active users and counting, file transfer seems to be high up on the agenda, and pretty soon, ZIP files could also be part of the bargain. With the VoIP aspect of WhatsApp now well established, voice calls may also be enhanced by call-back and voicemail support. ZIP files, as you'll likely be aware, are single archives of multiple files. Not only does a ZIP file condense the mess of several files into one manageable package, but it also helps to reduce the total file size. WhatsApp already supports a number of document extensions, though ZIP support should make life a tad easier for those with lots of files to send. At a time when instant messaging has largely replaced real-time voice calling, the days of sending and receiving voicemail seem long gone. Even though users can already drop a voice note to their WhatsApp contacts on-the-fly, a forthcoming update will apparently add voicemail functionality. Details are scarce for now, so we're not exactly sure what this will entail. But presumably, it'll offer something in addition to what's already covered by the basic voice memos. Finally, a call-back feature will let users quickly return a missed call without having to open Whatsapp—the option will likely be baked directly into the notification. There's no word on precisely when these features will arrive, though each should hit Android and iOS devices in a forthcoming update. Hey look! Still no GIF support! Every single other platform now supports GIFs, yet Whatsaap refuse and no one knows why. Wonder what the zip file size limit would be...not that I'd send any personal files through facecrook, just curious. 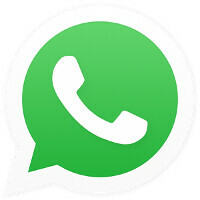 what is point of sending zip files from whatsapp? I'd rather use google drive. Add video calls support now. Everybody who wants GIF support, please add that to your app review - and give them one star UNTIL THEY RESPOND - I've just done the same.